It has become the norm for the affluent and the members of ruling class diagnosed as seriously sick – and at times, just sick – to be flown abroad for treatment. Though even in other countries around the world “exporting patients” to foreign-based hospital is common, the rate at which this trend is going on in Tanzania cast serious doubt on the efficacy the country’s national and referral hospitals. To the rich and prominent politicians, the Muhimbili National Hospital (MNH) is just a ‘waiting lounge’, where they are made to stay for a while before they are flown out in commercial or chattered planes. The latest case involved the Constitution Review Commission Member, Dr Sengondo Mvungi, who was flown to South Africa last week, after spending five days at MNH’s Intensive Care Unit (ICU) without any progress. But for the poor who can’t afford a chartered plane or even a two-way ticket to South Africa or India, their fate is to die at some local hospital. Bogged down by poorly paid doctors and nurses, often demoralised by poor working environment especially in public hospitals, acute shortage of skilled doctors and lack of modern medical equipment, the state of Tanzania’s major public hospitals is calling for an overhaul, according the survey conducted by The Citizen. With well-trained doctorsleaving the country in search of greener pastures in countries like South Africa, Canada, USA and United Kingdom, the conditions of our public hospital pose a serious threat to the country’s entire health system. 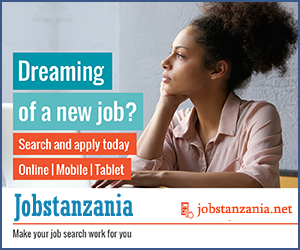 In an interview to The Citizen the Chief Medical Officer Dr Donan Mmbando, said acute shortage of modern medical equipments plus shortage of skilled personnel in health sector, were among the factors that have been fuelling the trend to refer patients to foreign based hospitals. Dr Mbando added there is an ongoing project to construct a cardiovascular centre at Muhimbili National Hospital (MNH); once it starts delivering service, the rate of sending patients to India for heart surgeries will be reduced. “We are trying to cut down trips abroad for treatment and we already have started with outpatient’s department (OPD) for cardiovascular cases,” he noted. He also hinted that the construction of the Muhimbili Orthopedic Institute (MOI) Phase III will provide brain operations, which are all referred abroad currently. He also dismissed allegations that it is only ‘big people’ who are taken abroad for treatment, adding that the government has a special fund which covers to all needy people but only through their doctors’ recommendations. The Citizen obtained the views of some of those who have been treated abroad especially in South Africa and India. “But what pains much is that I saw some of the best doctors from Tanzania working in South Africa where they are valued and respected…they told me they left because despite having expertise, they couldn’t utilize their skills in Tanzania due to lack of modern medical equipments.” Mr Kibanda told The Citizen yesterday. 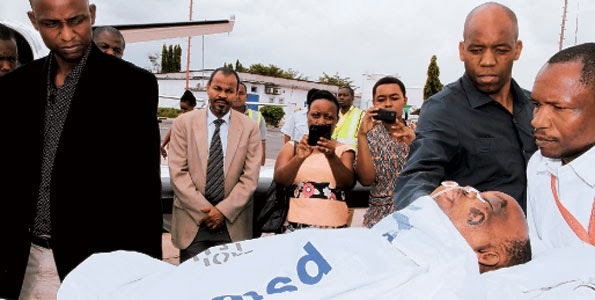 Recently in Njombe (during official launch of the area as a region), it was noted that the popular Indian hospital, Apollo, in collaboration with National Social Security Fund (NSSF) will soon set up a Tanzanian branch at Kigamboni in Dar es Salaam. According a senior investment officer with NSSF, Mr Salvatory Hinju, the move aims at cutting down the number of patients who travel to India for specialised treatment. “We had signed a Memorandum of Understanding between NSSF and Apollo and we have acquired a plot and construction is at its early stages,” declared Mr Hinju. For his part, Mr Irenei Kiria, the executive director of Sikika, health issues-oriented NGO, there is too much politics in the medical field and when it comes to political figures, most of them prefer being treated abroad. He added that there is a need to amend the country’s health policy so that it limit treatment of Tanzanians abroad to cases that are clearly beyond the capacity of local hospitals. “That should go hand in hand with improving our health facilities so that the public will receive high quality medical treatment right here,” argued Mr Kiria. 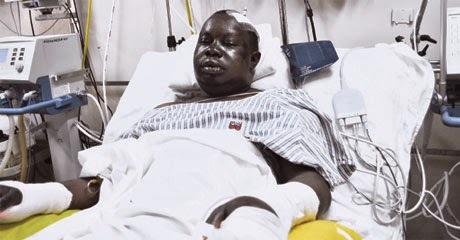 The situation now, notes the Sikika boss, is that the country has problems handling emergency medical cases, for local specialists will only stabilize the patient’s condition as they prepare them for proper treatment. He also urged the government to direct more funds to health the sector instead of using huge amounts of money to take patients for treatment abroad. Veteran journalist Atilio Tagalile, who, two years ago, was forced to seek medical treatment in India after local eye surgeons failed to diagnose his case told The Citizen that the health sector will improve only if the government will see the need to invest more by training of medics and purchasing modern diagnostic equipment. “If you want real development, you must invest more… this means the government should pump more money into training of a new generation of medical doctors,” he said. He noted that most of the medical specialists are aged over 60, so the government should make sure there is young generation ready to take over when these specialists retire. He noted that while India where he went for an eye surgery, he met very determined experts who used modern equipment to operate him. “When I was in the operating room, it was more like being in a Boeing cockpit, not an operation theatre, because it has everything needed for an eye operation, including diagnostic machines which detected cataract in my left eye,” said Mr Tagalile. Commenting on the advancement in the health sector, the Director of Research on Growth and Development at Research on Poverty Alleviation (REPOA) Dr Donald Mmari, said that seeking treatment in India is now universal, everybody is going there. “India is well known for its advances in medicine, just like South Africa in our continent; sometimes this is caused by shortage of medics in the field,” said Dr Mmari. “We have a few medical doctors and as a result it is very hard to allow them to specialize; we should start with investing in education, by getting more young doctors who will reduce the burden facing local specialists,” he said. He noted that there is also a need to purchase state-of-the-art medical equipment because it is virtually meaningless having specialists without working tools.